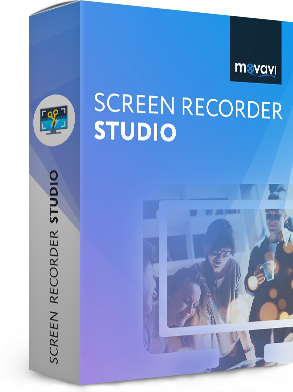 Try Movavi Screen Recorder Studio to record like a pro. A YouTube blogger recording a video game tutorial, a teacher creating an educational film, a software user trying to show their problems to support. What do all these people have in common? They all need an easy-to-use screen recorder. Many people’s first thought is to use QuickTime and record whatever you want. But there is one problem – QuickTime does not support audio recording. If you want to see professional results from day one of using a program, try our screen recording software. Create your own training films, video instructions, and reviews. Our program allows you to record video and audio from screen on Mac and edit them right away in the same application. Add effects and titles, then save the resulting video in your choice of format. Download the program now, read the following instructions, and make your first screen video with sound. Follow the instructions on the screen to install our program. In the Screen Recorder Studio launcher window, click the Record Screen button. Select the recording area. You can сhoose the Full Screen option. If you want to record video with internal sounds, click the System Audio button. When it is displayed in green, sounds will be recorded. If you want to add your voice or other external sounds, click the Microphone button. You can select a specific microphone if there are several devices. Click on REC to start. There will be a 3-second countdown. You can control the process of recording using the Pause and Stop buttons. The video is saved automatically when you stop recording. 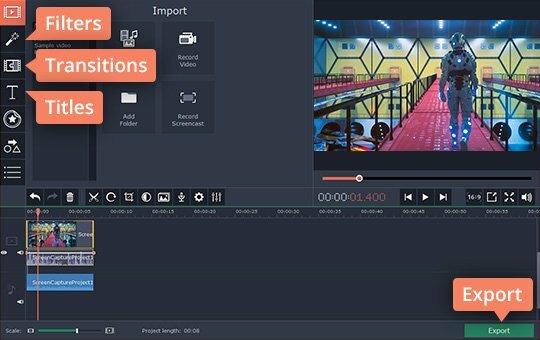 A video editor comes with our program. After capturing your screen video, select the Open in Editor button. Use Filters to add different filters to the video. Use Transitions to create elegant transitions between different parts of your video. Add Titles if you want to add text to your video. Apply Stickers if you want the video to be more expressive. 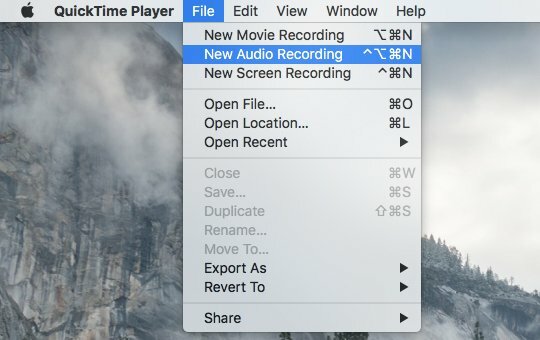 You can easily use the QuickTime Player to capture screen with audio on Mac. Unfortunately, the program does not support sound recording. 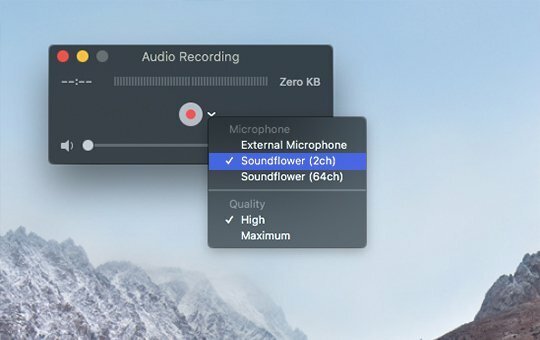 To record audio and screen on your Mac, you'll need to install a second app – Soundflower. 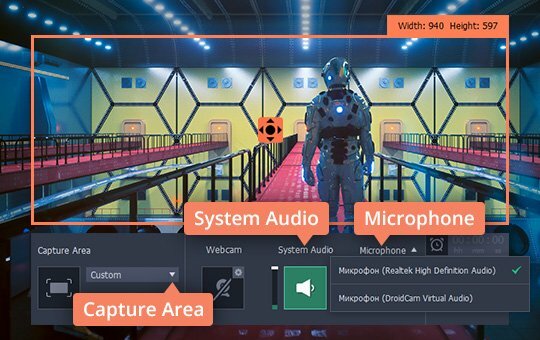 It's a free audio extension that lets you record system audio, but you will not be able to add a voice commentary during the recording. Download the latest version of the program and install it. Make sure the program works with Mac OS X. Click the Sound icon. You'll see four new audio devices in the Sound menu. To record sound, you need to change the sound channel. Go to the System Preferenses and then to the Volume menu. You will see a Gear icon in the bottom left corner. Click the icon and select Create multi-output device. 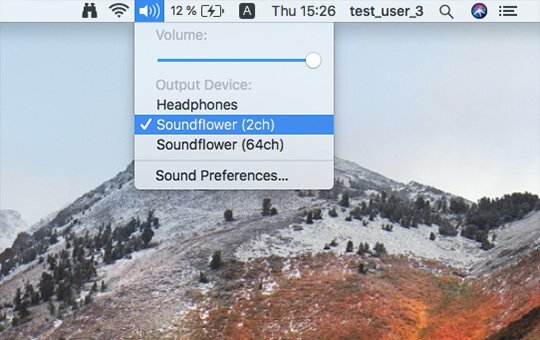 Choose Built-in Output and Soundflower (2ch). Click on the Gear icon and select Use this device for sound output. Launch the QuickTime application. Click File and then New audio recording. 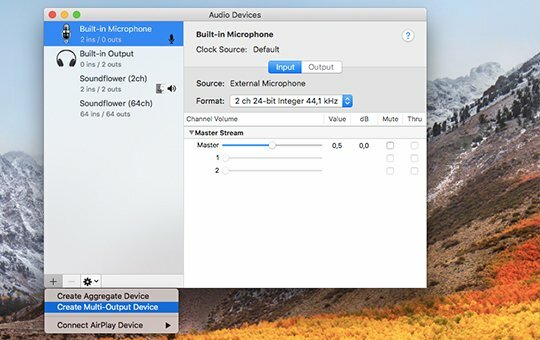 QuickTime will recognize Soundflower as a microphone. Select Soundflower (2ch) and Quality (High or Maximum) in the settings next to the red Record button. Now the program will record internal system sounds. Turn on the audio and click the Record button to start recording. Click Stop in the quick menu, if you want to stop recording. Select a folder and save your video. 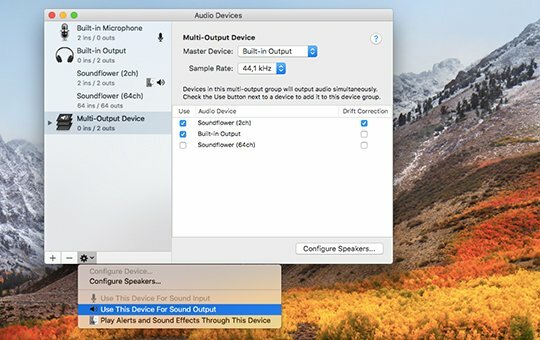 Even though QuickTime comes preloaded on MacBooks (both Air and Pro) , you'll need to install additional software and adjust a number of system settings in order to record screen video with sound. 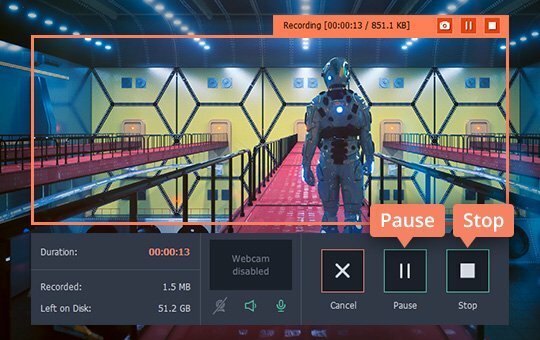 We suggest downloading our screen recording software instead, so you can capture screen video with sound, just the way you want it, in a couple of clicks. We hope you found this article useful and that it’s helped you learn something new about screen capturing.